Flooring grade and installation influence the cost of hardwood. Factory seconds are priced considerably less than standard grade hardwood, and the amount of work and procedures for installation also raises the price of flooring. If you are considering adding hardwood into your home, include the following factors into the cost of wood flooring. Most unfinished domestic species are sold in one of four grades: clear, with a uniform color; select, which displays some natural characteristics; #1 common, which has color variation, streaking, and knots; and #2 common, with additional color variation and natural marks. Only maple flooring has a different grading system. Grading for unfinished hardwoods follows standards set by the National Wood Flooring Association (NWFA), but for prefinished hardwoods, terms like "character" and "prime" are simply descriptive and vary with manufacturer. Cabin grade hardwoods, however, include both unfinished and prefinished types and significantly cut the cost of wood flooring. Value grade flooring has some advantages. 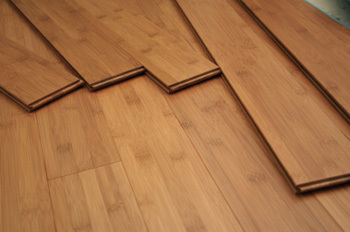 Priced up to 50-percent less than standard hardwoods, value grade flooring is often $0.89 to $1.19 per square foot. Cabin grade flooring, also called factory seconds, can be difficult to find, and a distributor's selections vary monthly and depend on the manufacturer's determinations. Cabin grade is seldom indicative of structural quality and, rather, pertains to the appearance of the hardwood. Factory seconds are characterized by an abundance of dark knots, mineral streaks, and color variation. Physical imperfections may happen in milling, and factory seconds are known to have uneven corners, tree bark edges, or similar features. 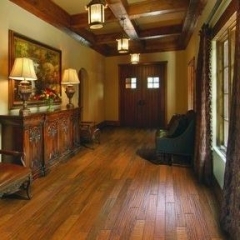 In addition to the type of hardwood chosen for your home, the installation needed increases the cost of wood flooring. Nailing, gluing, or floating the hardwood over a subfloor is a standard procedure, but this is likely not all your home needs. Installation costs can incorporate refinishing, screening and coating, staining, floor preparation, installing a moisture barrier or common hardwood borders, waste removal, and the materials needed to secure the hardwood.